Another Indian mountaineer Rohtash Kholeri, 22, also successfully climbed Mount Elbrus. Shivangi and Rohtash have conquered the world's highest three peaks in the past four months. Shivangi wants to unfurl the nation's flag on the world's seven highest peaks before she turns 18. Shivangi Pathak is a resident of Hisar in Haryana. People also call her 'eagle of mountain'. 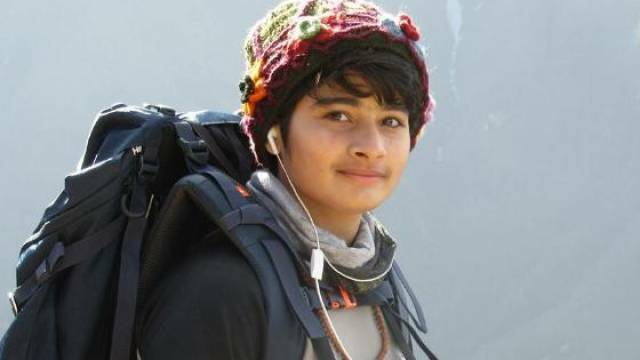 17-year-old mountain climber Shivangi Pathak has conquered Mount Elbrus, the highest mountain range in Europe after Mount Everest and Kilimanjaro. Shivangi started to climb Mount Elbrus from a base camp built 5,642 meters high, on 02 Sep 2018. She completed her mission 'Elbrus' on 04 Sep 2018 at 7:56 a.m.
On reaching the highest peak Mount Elbrus in Europe, Shivangi gave special messages to the country and the world. She also shares her photographs with the slogan poster of 'Beti Bachao Beti Padhao' and 'If earth prevails, life prevails'. She considers Arunima Sinha as her inspiration for mountain climbing. Shivangi has trained with 'Jawahar Institute of Mountain' (Jammu-Kashmir) and 'Himalayan Institute of Mountaineering in Darjeeling'. She likes to run Miles in the gym instead to workout at the gym. As a result, she is not only physically fit, but also mentally retains well.